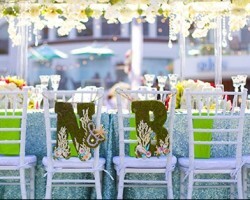 Amanda McPhail is the brains behind one of the leading event planning companies in Chula Vista. 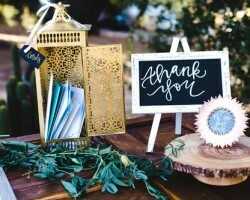 Voted as one of the top rated companies by the Knot and Wedding Wire magazines, Creative Affairs Inc has built a reputation for hosting memorable events. At the core of this company is its enigmatic owner Amanda. However, Amanda is not alone, as she has employed and invested in a dedicated team of coordinators who have been instrumental in the success of the over 1500 events that the firm has organized. 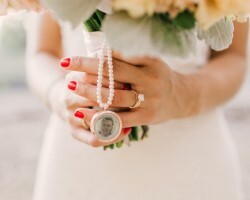 A self-proclaimed wedding fanatic, Juliette Fagerwold is one of the best Chula Vista wedding planners. 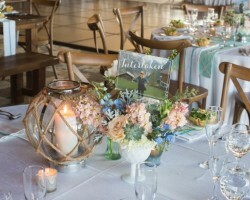 Through her wedding planning business Simply Elegant Weddings, Juliette has successfully organized and coordinated countless weddings in California. Juliette works with three other ambitious women in bringing the dreams of her clients to reality. With her close-knit team of wedding planners and coordinators, her company is able to deliver personalized services. Thanks to her dedication and commitment, Simply Elegant Weddings has become synonymous with unforgettable local and destination wedding ceremonies. Samantha Louise Marett is a certified and local wedding planner who finds pleasure in organizing weddings according to her clients’ preferred style. As such, she has no one particular style and works around her clients’ specifications. In this way, Samantha is able to create weddings that are a representation of her clients’ personal expression and preferences. Also, she caters to all her clients’ organizing needs, from the wedding ceremony to the reception party, Samantha has it all covered. Furthermore, depending on her clients’ needs, she is able to organize an event on a budget. Susanne Duffy began her wedding planning career 16 years ago. In the 16 years she has been in the business of organizing weddings and other events, Susanne has received several awards. Additionally, she has been featured in various magazines. In this regard, she was featured on the cover of the 2015 Ceremony Magazine. A native of Greenwich, Britain, Susanne sits at the helm of one of the most successful wedding planning firms in Chula Vista, Crown Wedding & Events. Through this company, Susanne has emerged as a much sought-after wedding consultant and organizer.